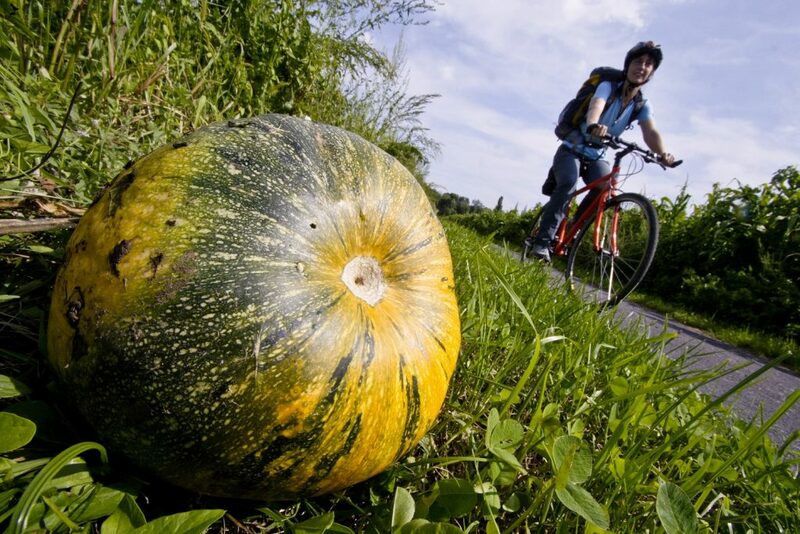 A universal genius: The pumpkin is a plant for and against (almost) everything. The answer is always the same: “The pumpkin”. Only the questions change. An easy one to start off with: What is the usually basketball-sized, yellow-orange crop that has achieved cult status in Styria? That’s right! The pumpkin. 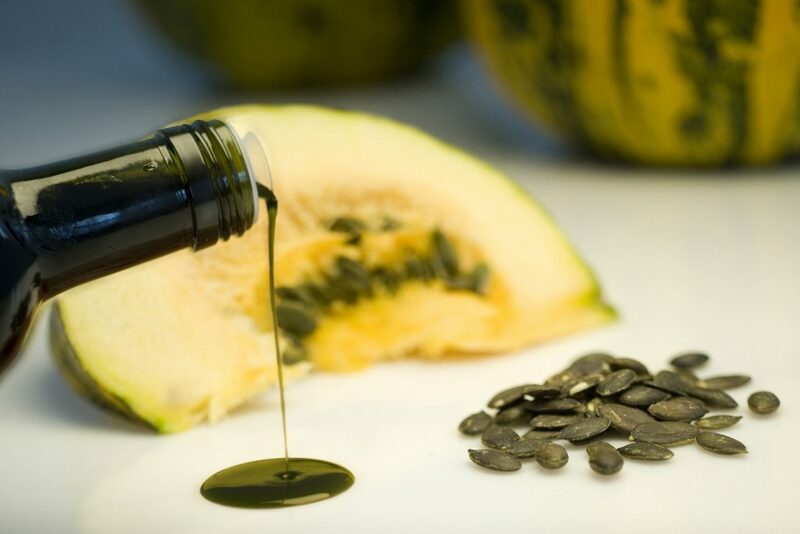 Another question – this one isn’t hard either: What is pressed to make one litre of Styrian seed oil? Here’s a clue: throughout the EU the bottle carries the rare PGI (Protected Geographical Indication) label. Three kilos of seeds from … Exactly! This one’s harder: What do a tasty pesto, a soothing lip balm and handmade paper from Southern Styria have in common? Correct, all three are made from … The universe in Styria no longer revolves around the sun, but around Cucurbita pepo L. convar Citrullina var. 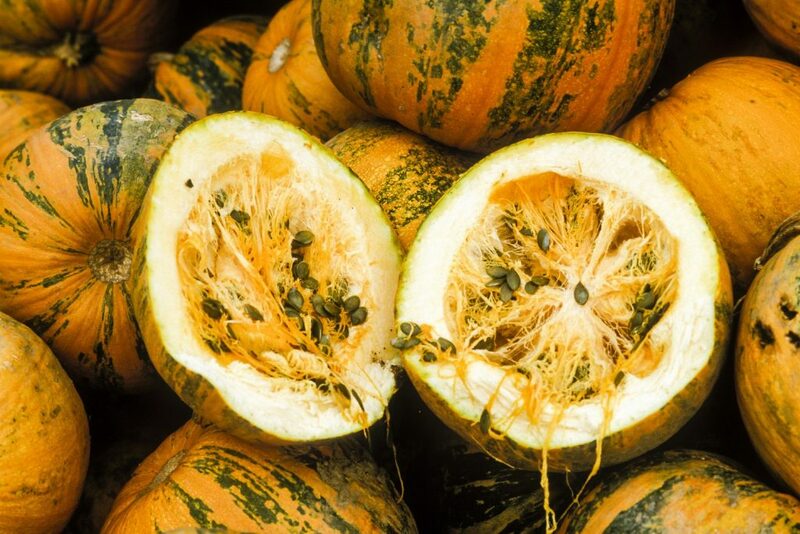 styriaca, the Styrian oil pumpkin. More than 6,000 tons of pumpkin are cultivated annually on an area the size of 11,000 football fields in the land of pumpkin power. You can use it for almost anything – and against a lot of things. It is said to help with intervertebral disc problems, bed-wetting, elevated blood lipid levels and blocked arteries. But also with political indecision, as in the West Styrian community of Preding. Who decides who’s in charge there? That’s right: A pumpkin. Following a long-standing custom, representatives of the guilds gather around a round table with a bowl of maize semolina in the middle. A pumpkin is dropped into the bowl. The one with the most semolina on him is the new pumpkin mayor. Admittedly, the ritual refuses to be part of a clumsy democracy and tends to trust the principle of chance. But it works. 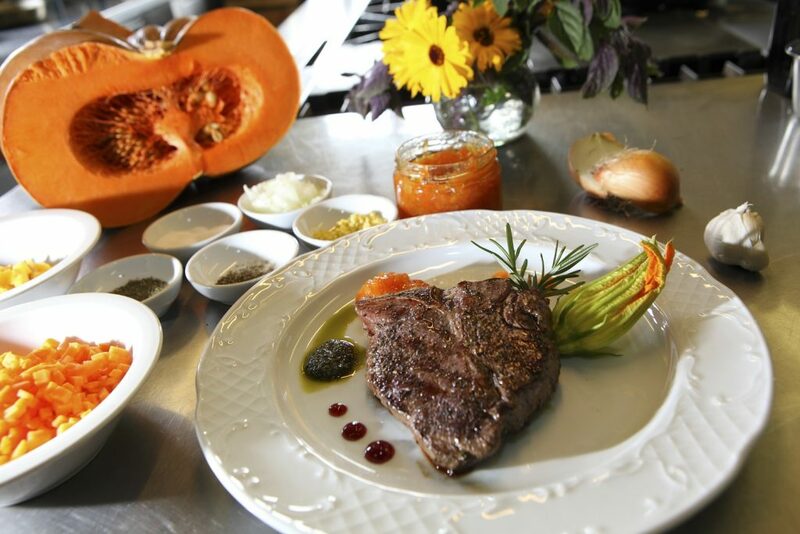 The best places to really experience the pumpkin are oil mills, restaurants, and wine taverns in Southern and Eastern Styria. And the best way to find these places is on your bike via the Styrian Wine Country Cycle Trail, River Mur Cycle Trail or EuroVelo 9.